The two-step is the most popular style of country dance. 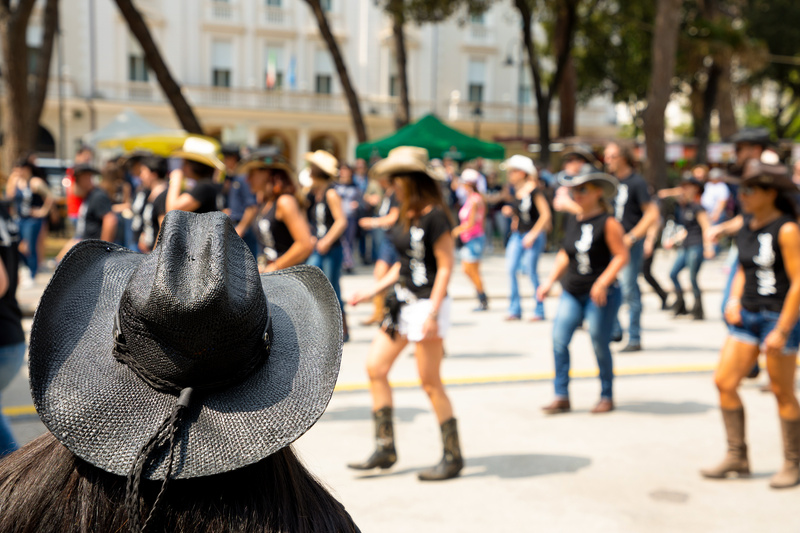 You’ve probably encountered it anywhere where people have been dancing to country music — from bars and nightclubs to weddings, socials, and other events. The two-step is a smooth, progressive partner dance that travels counterclockwise around the dance floor. It involves weaved patterns and a series of rhythm accents consisting of quick and slow steps, with extra emphasis added to the slow steps. Typically the two-step is danced to country music between 170 to 200 beats per minute. Elite Dance Studio offers country/ two-step classes aimed at beginner and intermediate students. Our classes teach students to become comfortable with the basics movements so they can travel around the room with ease. Students will learn the fundamentals of frame, footwork, leads, and turns, allowing them to confidently take on any dance floor! We offer a relaxed environment with no dress code and professional instructors who know how to tailor the class to the students’ interests and skill levels. Singles are welcome! No partner is necessary to take the class. Elite Dance Studio uses a punch card drop in system that requires no pre-booking and can accommodate for any busy schedule. Punch cards are valid for a full year and are sold 4 classes at a time. Contact us for more information!